Catheterization is a reality for many. But sometimes one can be injured by the incorrect, hasty, or careless health professional or individual during the process of cathing. The urethra is very sensitive and injuries can cause bleeding and/or infections if done incorrectly or impatiently. 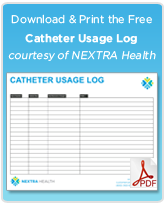 Careless use of catheters prevents the purpose of cathing in the first place – to drain the urine from the bladder. 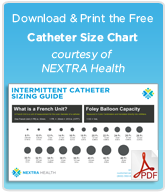 Wrongly inserting catheters is not only a painful but also a dangerous condition. If the urethra is damaged, it may require surgical procedures to drain the bladder if there are no other options. Surgical operations and urethral injuries can all be avoided simply by being careful and mindful of correct cathing procedure. It’s good to put together a checklist of the process of cathing as instructed by your doctor, nurse, and/or the manufacturer of your urological supplies. Not using enough lubricant on the catheter. Incorrect catheter placement that causes the cath to bend into the urethra, creating a passage that will often bleed. The tip of the catheter folds on itself after inserted ruptures the urethra. Any of the above can injuries the urethra and can easily be avoided. Never force a catheter in. Straighten the urethra and push mildly. Always use antiseptic before, during, and after cathing. Of course, never continue catheterization if you see blood coming from the urethra or if you’re getting resistance during insertion. And if you are self-catheterizing and having trouble, always call your doctor, nurse, or health professional for assistance. If your urethra is blocked and the tube is not going, you may require surgery to relieve the bladder. Never force a catheter in!